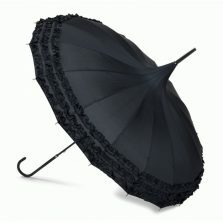 Black Pagoda Umbrella - A huge range of umbrellas & parasols! 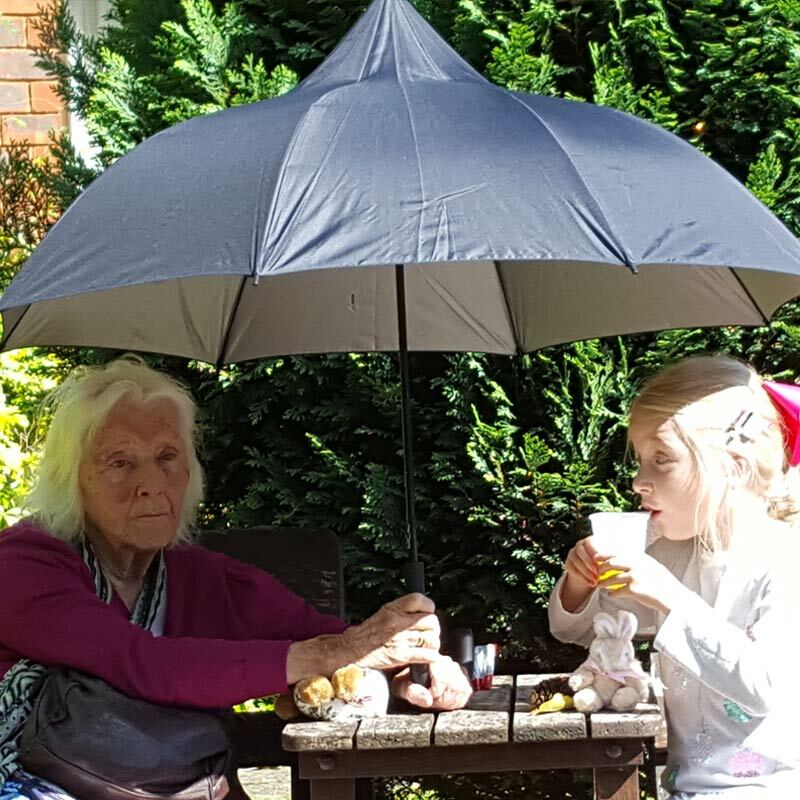 This umbrella has a silver inner lining to provide protection from harmful Ultra Violet rays – Scroll down and read more below! 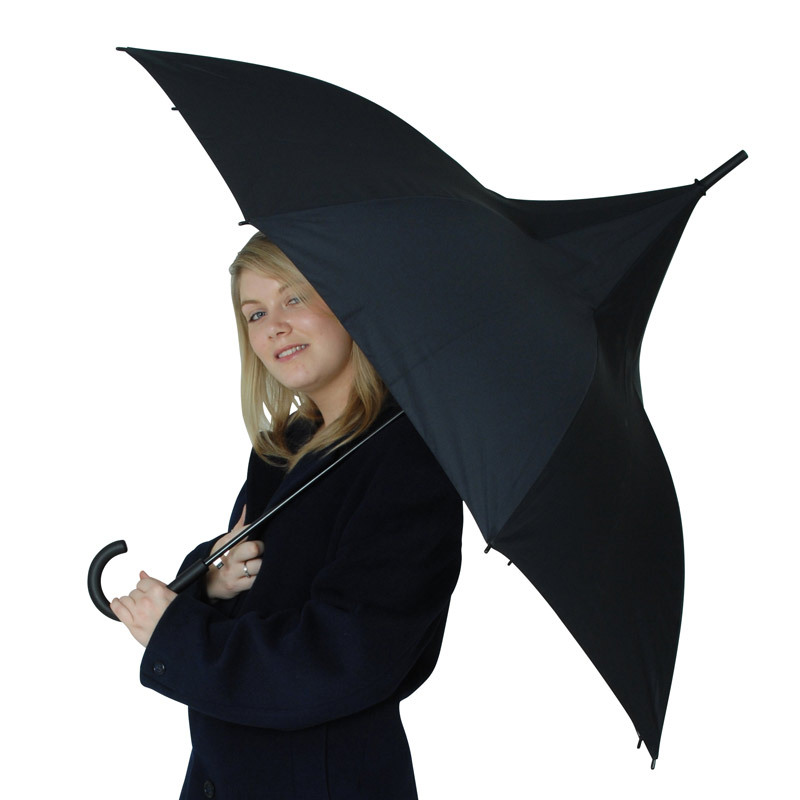 The Classic Black pagoda umbrella is perfect for anyone who wants to combine good looks, the latest technology and fashion. A trendy pagoda shaped canopy and built in windproof technology. 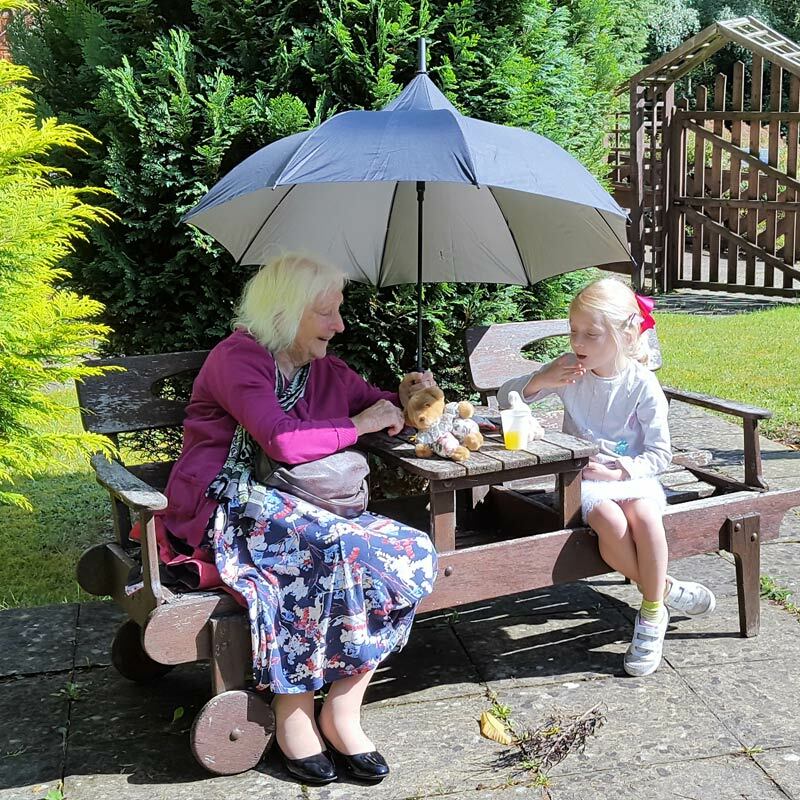 The canopy width of this umbrella is a very generous 105 cm and the length of the umbrella from crook handle to tip is 95 cm. A perfect size for both ladies and gents. In fact large enough to keep your friend dry too! As already mentioned the black pagoda style canopy is lined with a silver lining which is UV protective. Most umbrellas give some degree of UV protection from the harmful rays of the sun but this umbrella in particular gives even more protection. 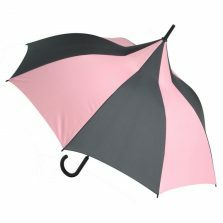 With the silver lining and the black outer this umbrella gives you double the normal protection. 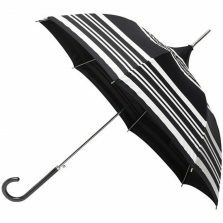 These windproof umbrellas also have our special “Double-Dome” wind-resilience technology and are ideal for the man or woman about town. The Classic Black features a push button auto-open mechanism, curved black handles, matching top and spoke tips. 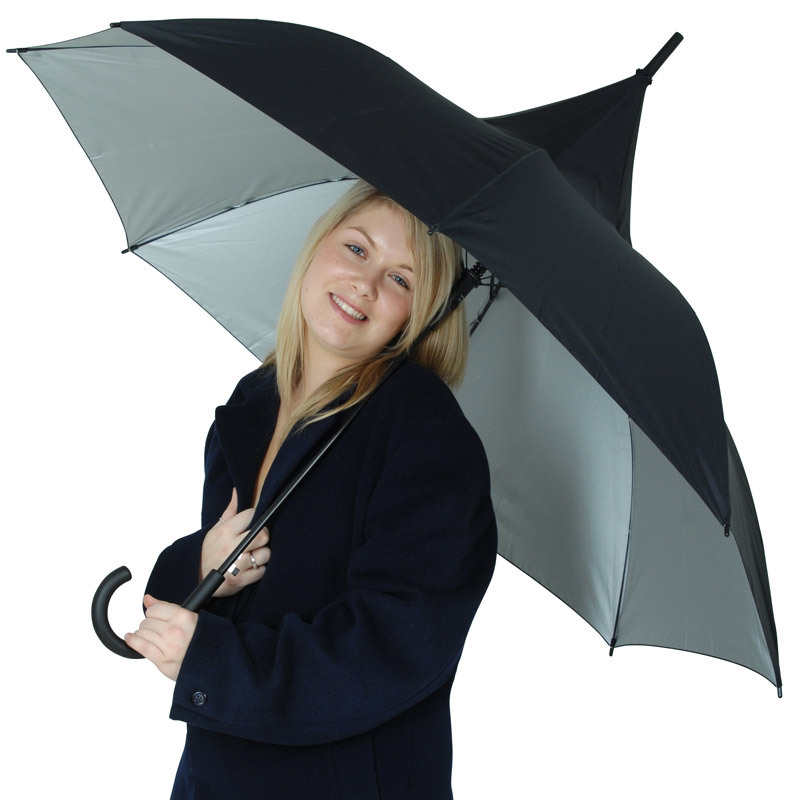 All these features make it pretty much the perfect umbrella, UV protective, windproof and of course waterproof, what more could you possibly need? 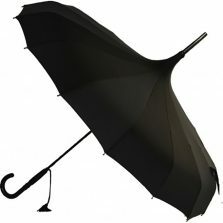 At Umbrella Heaven we have a large selection of gents umbrellas to suit your needs. 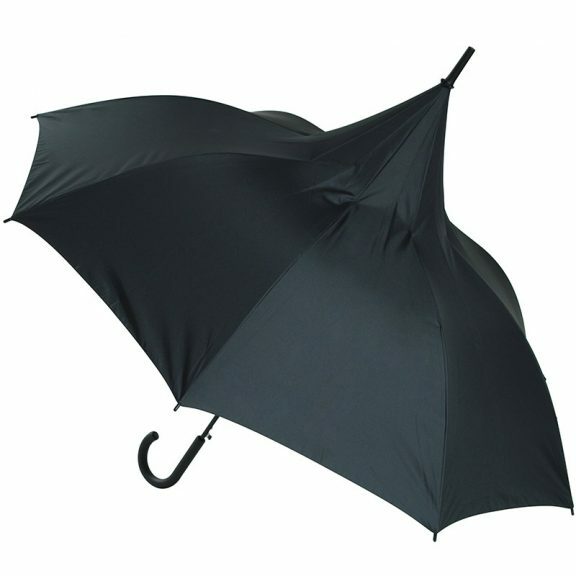 We have folding / compact umbrellas that will fit in a pocket or briefcase and we have walking length umbrellas. We also have a range of shoulder strap umbrellas and a collection of really high end umbrellas for men. 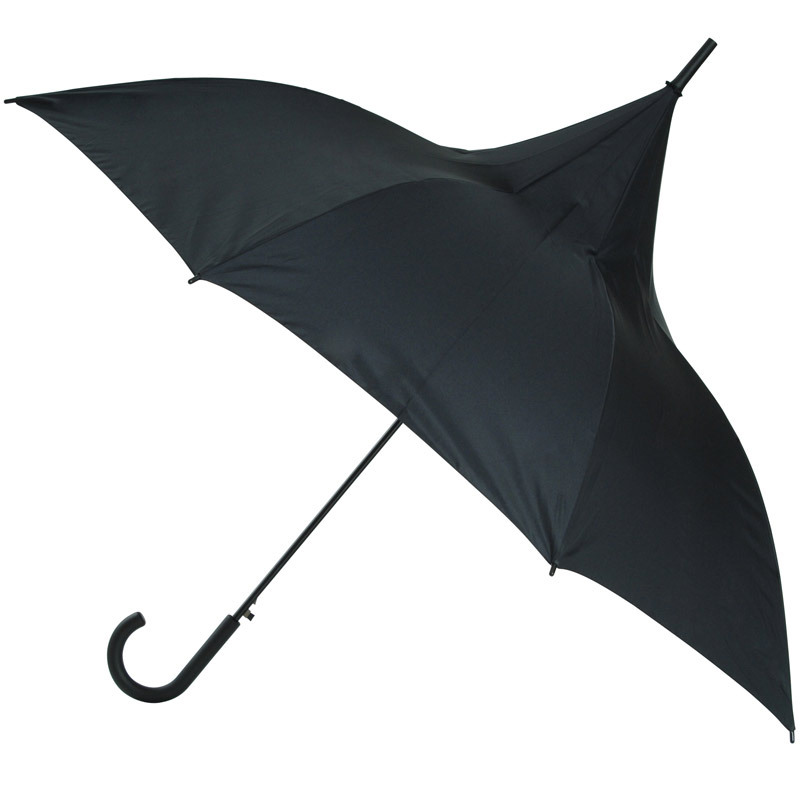 View more of our large collection of mens umbrellas!